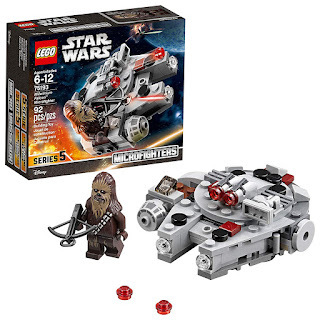 Head over to get this LEGO Star Wars Millennium Falcon Microfighter for ONLY $5.99 (Retail $9.99)! Zoom into action with the LEGO Star Wars 75193 Millennium Falcon Microfighter. This Star Wars toy features lots of authentic detailing, 2 stud shooters and space to seat the included Chewbacca Star Wars minifigure with his bowcaster.